Curated by Emeriti Professors James Clifford, Michael Cowan, Virginia Jansen, and Emeritus Campus Architect Frank Zwart. The exhibition traces decisive moments in the early creation of UCSC’s built environment. In the visions that shaped the campus an extraordinary physical site was linked with an innovative educational project. The exhibition evokes paths taken and not taken in the first decades of campus development: decisions, constraints, hopes, realities. 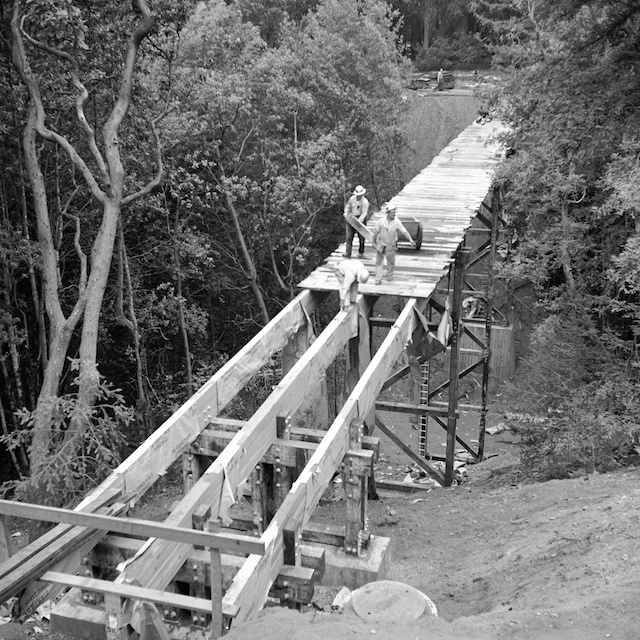 It celebrates the achievement of UCSC’s founding planners while analyzing the tensions and contradictions they built into the campus. Through many subsequent transformations, the university that took shape on rugged forested terrain atop a high hill, remains an uncommon place.